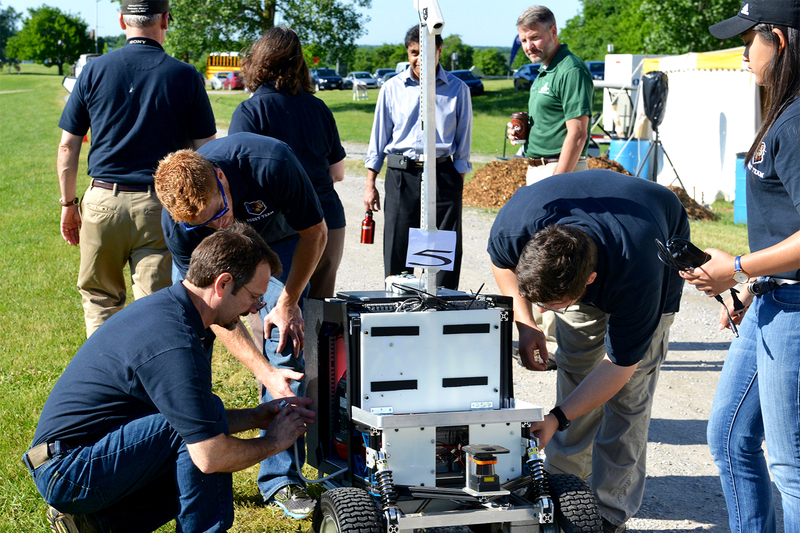 The Intelligent Ground Vehicle Competition will return June 2-5 to Oakland University. The Intelligent Ground Vehicle Competition (IGVC), which provides an opportunity for engineers from around the world to compete with their uniquely-designed unmanned vehicles, will return June 2-5 to Oakland University. “For 25 years, IGVC has challenged university and college student teams to a world-class design and systems engineering experience that is at the very cutting edge of engineering education,” said KaC Cheok, Ph.D., co-chairman and co-founder of IGVC, OU engineering professor and Oakland Robotics Association adviser. In 2016, more than 35 teams from 32 colleges and universities participated in the competition, including OU’s own Oakland Robotics Association. Inter-Operability Profile (IOP) Challenge: Vehicles perform with the IOP open architecture for unmanned systems. This year’s competition will also include the Spec 2 Challenge, which will feature street legal, fully autonomous vehicles demonstrating their autonomous street driving capabilities, as well as parking and track driving maneuvers. The competition is held in the field on the southwest corner of Adams Road and Walton Boulevard.